Admission for session 2013 are announced for Class 7th. 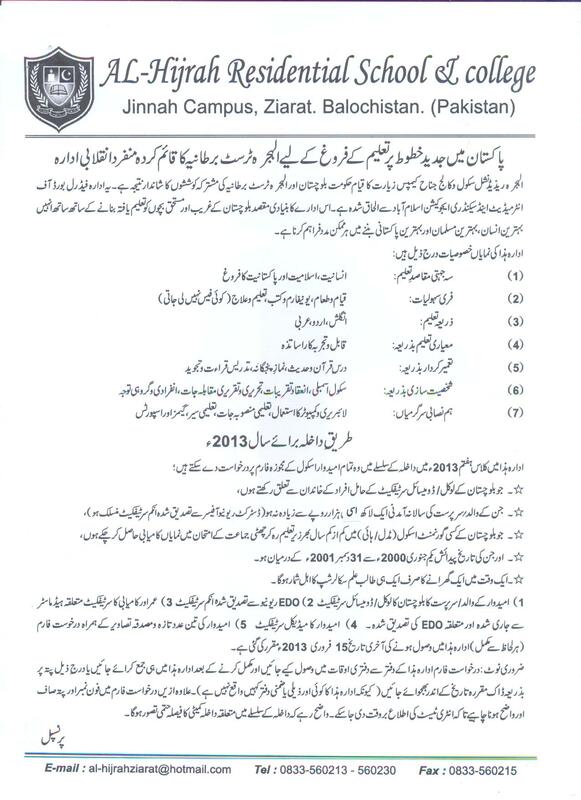 Last Date for submission of Admission Forms is 15th February 2013. 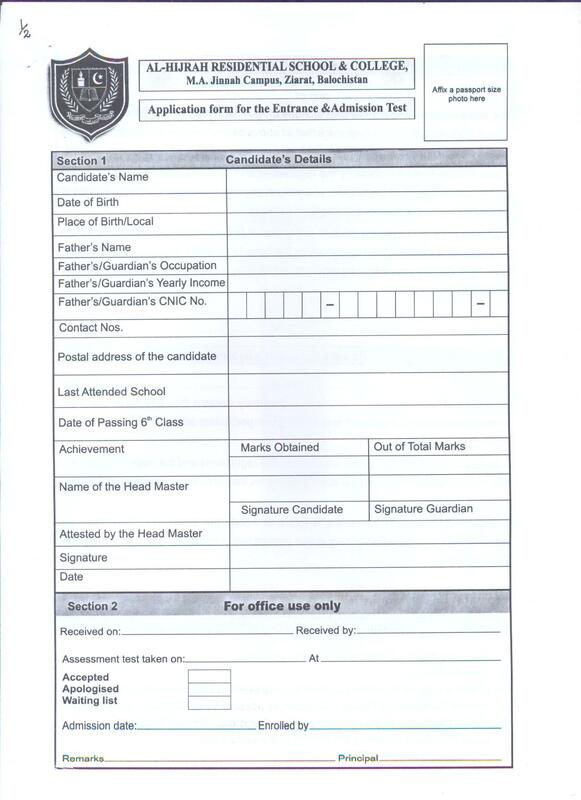 All details with application form are attached with this page. i m intellingent student of Balouchistan Dera Bugti and im want to admission of your school in 9th class. I m belong very poor family and i have five brother and four sister .. and my father not pay my expensive due to low income. 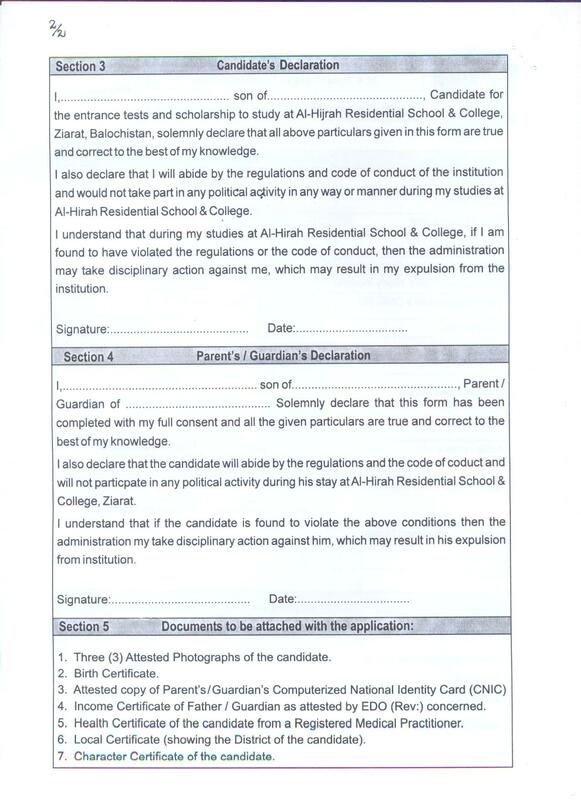 I m humble request of Al-Hijrah Residential School & College, Ziarat, Balochistan to give me admission in your institute…. We are not the school, we just posted this advertisement information for your help, we only provide information , you can get admission yourself by calling that number 0833-560213 and fill the application form. but Al-Hijrah only provide admission to class 7th students not class 9th student. 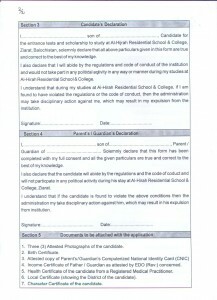 Brother date is expired for this scholarship, better to apply for Prime Minister’s Scholarships Link: http://www.balochstudents.com/2013/03/11/prime-ministers-scholarships-for-balochistan-students-2013/ , each district has 5 Reserved seats. 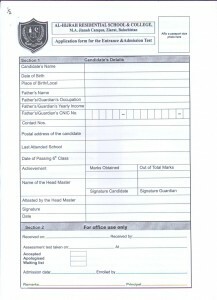 Last date for submission of Registration Forms 25th March, 2013.